Toasted Fowl Game calls was started on something of a dare. I had never thought about building duck calls or even turning on a lathe. I had always had fun turning things in high school but the objects were always rough and never really turned out how I wanted them to. I do custom woodworking for a living and love what I do. There are so many types of woodworking but turning was never in any work that I did. A few years ago I got back into duck hunting. I hadn’t hunted ducks in 20+ years and back then we just pass shot Wood Ducks in Filbert (Hazelnut) orchards. Michael Soares ask me for over a year to go duck hunting with him and I finally went. It was the first time I had ever hunted over decoys and he called the ducks in. I was hooked!!! Duck hunting became an obsession, my wife wasn’t happy about it but she wouldn’t do anything to stop me. The last day of that duck season Michael’s son Mickey simply said “You ought to start making duck calls”. The seed was planted, it took a few weeks to germinate and I started doing research. I had an old lathe and started turning barrels. I started turning the inserts and worked on getting the “radius” right so I could get a call that sounded the way we wanted them to. I tried all kinds different wood and other materials. 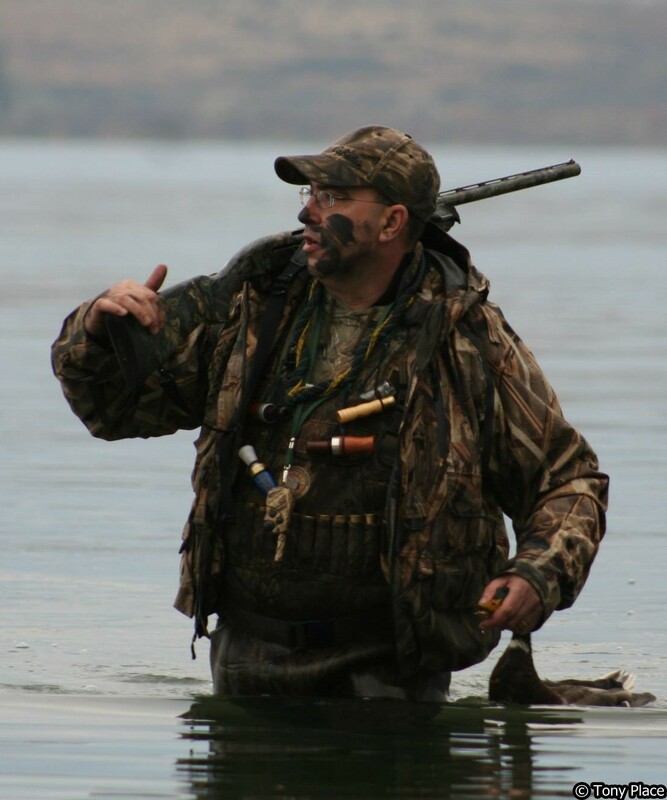 The next season we used Toasted Fowl duck calls exclusively and called in a lot of ducks and had some great hunts. Turning game calls is the way I can satisfy my hunting addiction until the next hunting season opens. All of my calls continue to be hand turned and hand tuned. I still have a passion for bow hunting elk and deer. I worked in the archery industry for a number of years out of high school. Toasted Fowl has started building hand turned elk calls to go along with our duck calls. I will keep expanding what Toasted Fowl has to offer and keep the quality to the highest standard.